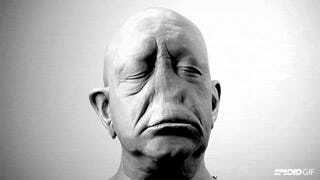 It is somehow humanizing and terrifying to watch this claymation head get deconstructed in stop-motion. I think I shrieked and thought the face was coming alive multiple times and then shrieked again but no matter how gross it got, I could never look away. The sculpting and animation was done by Isak Åkerlund.